The Place Where Famous People Are Smoking. Clinton Eastwood was born May 31, 1930 and he is an American film actor, director, producer, composer, and politician. He rose to fame for playing the Man with No Name in trilogy westerns: A Fistful of Dollars, For a Few Dollars More, and The Good, the Bad and the Ugly during the late 1960s. Marlene Dietrich was born 27 December 1901 and died on 6 May 1992, she was a German-American actress and singer. She gained international fame for playing as Lola-Lola in The Blue Angel during the 1930s. Marlon Brando was born April 3, 1924 and died on July 1, 2004, he was an American screen and stage actor. He was one of the most important actors of American Cinema, initially gained celebrity for playing the role as Stanley Kowalski in A Streetcar Named Desire during the 1951s. Monica Bellucci was born 30 September 1964, she is an Italian actress and fashion model. She became popular and famous worldwide with her roles in Malèna, Brotherhood of the Wolf, and Irréversible during 2000-2002. Alain Delon was born 8 November 1935, he is a French-Swiss actor. He rose quickly his popularity and made his stage debut as Tom Ripley in Purple Noon during 1960s. Audrey Hepburn is one of the most beautiful actress in the history of world cinema. Recognized as a film and fashion icon, Hepburn was active during Hollywood's Golden Age. She was ranked by the American Film Institute as the third greatest female screen legend in the history of American cinema and has been placed in the International Best Dressed List Hall of Fame. She is also regarded by some to be the most naturally beautiful woman of all time. 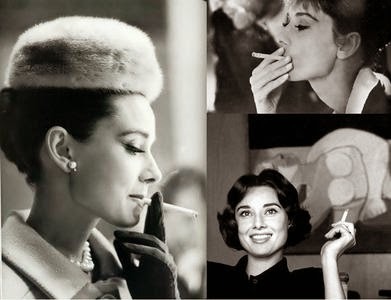 This extraordinary actress was a smokers during her film career. Many biographies describe her as a heavy smoker, ever since she was 15 years old. Jack Nicholson, the famous actor recently admitted in an interview the role of tobacco in his life. But in 1973, Nicholson starred in the film The Last Detail. "I played a minor official, a lover of cigars. I smoked throughout the filming real Cuban cigars, which are undoubtedly the best. After that, I lit a cigarette again until I started to have a passion for golf." After a while Nicolson quitted smoking cigarettes, but cigars became a permanent part of his life. 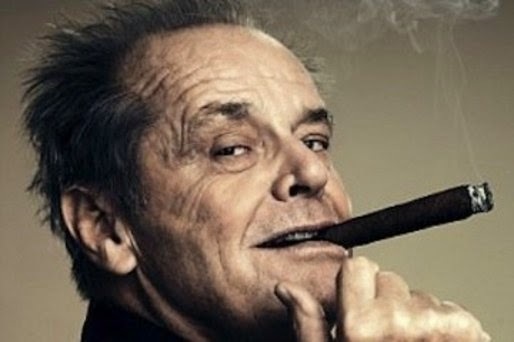 The favorite cigars of Jack Nicholson - a Romeo y Julietas, Cohiba Robustos and Montecristos. Most Cuban cigars Nicholson brings from abroad. "My friends often bring me high quality cigars. I have a special place for cigar storage. Someone gave me a big, professional cigarette case with built-in humidifier, so that you can keep for years the cigars in perfect condition. They retain their freshness. " Nicholson likes to smoke and adheres to revive the culture of cigar smoking, but he is attentive in the presence of non-smoking people. "I never smoke when around my kids, and always ask permission from the ladies before I smoke." Tip of the day: Camel extra resources. About Holly Hunter : Holly Hunter (born March 20, 1958) is an American actress. Hunter starred in The Piano for which she won the Academy Award for Best Actress. She has also been nominated for Oscars for her roles in Broadcast News, The Firm, and Thirteen. Hunter has also won two Emmy Awards with seven nominations and has won a Golden Globe Award with another six nominations. Holly Hunter was born in Conyers, Georgia, the daughter of Opal Marguerite (nee Catledge), a housewife, and Charles Edwin Hunter, a farmer and sporting-goods manufacturer's representative. Hunter earned a degree in drama from Carnegie Mellon University in Pittsburgh, and for a while performed in the theatre scene there, playing ingenue roles at City Theatre, then named the City Players. She eventually moved to New York City and roomed with fellow actress Frances McDormand. Hunter, in 2008, described living in The Bronx "at the end of the D train, just off 205th Street, on Bainbridge Avenue and Hull Avenue. It was very Irish, and then you could go just a few blocks away and hit major Italian". A chance encounter with playwright Beth Henley, when the two were trapped alone in an elevator, led to Hunter's being cast in Henley's plays Crimes of the Heart (succeeding Mary Beth Hurt on Broadway), and Off-Broadway's The Miss Firecracker Contest. "It was like the beginning of 1982. It was on 49th Street between Broadway and Eighth on the south side of the street", Hunter recalled in an interview. "[We were trapped] 10 minutes; not long. We actually had a nice conversation. It was just the two of us". Tip of the day: visit Cigaronne website. About Hilary Swank : Hilary Ann Swank (born July 30, 1974) is an American film actress. She has won the Academy Award for Best Actress twice, as Brandon Teena in Boys Don't Cry (1999) and as struggling waitress-turned-boxer Maggie Fitzgerald in Million Dollar Baby (2004). She also put in a notable performance in Insomnia (2002), working alongside Al Pacino. Since 2003, Swank has also worked as an executive producer. Swank was born in Lincoln, Nebraska. Her mother, Judy Kay (nee Clough), was a secretary and dancer, and her father, Stephen Michael Swank, was an officer in the Air National Guard and later a traveling salesman. She has a brother, Daniel, who is eight years her senior. Her surname, originally Schwenk, is of German origin. Many of Swank's family members hail from Ringgold County, Iowa, and her maternal grandmother was of Spanish and Shoshone (Native American) ancestry. After having lived in Spokane, Washington, Swank's family moved to a trailer park near Lake Samish in Bellingham, Washington, when Swank was six. She attended Happy Valley Elementary, Fairhaven Middle, then Sehome High School in Bellingham until she was sixteen. She also competed in the Junior Olympics and the Washington state championships in swimming; she ranked fifth in the state in all-around gymnastics. Swank made her first appearance on stage when she was nine years old, starring in The Jungle Book. She became involved in school and community theater programs, including those of the Bellingham Theatre Guild and The Seattle Children's Theater. Tip of the day: Parliament read more here. About Hilary Duff : Hilary Erhard Duff (born September 28, 1987) is an American actress, singer, entrepreneur, author, and humanitarian. Born and raised in Houston, Texas, Duff appeared in local theatre productions and television commercials before coming to prominence in the title role of Disney Channel's teen comedy Lizzie McGuire. Established as a teen idol, Duff reprized that role in The Lizzie McGuire Movie (2003) and ventured into motion pictures with her early films Agent Cody Banks (2003), Cheaper by the Dozen (2003), A Cinderella Story (2004) and Cheaper by the Dozen 2 (2005) being among the biggest commercial successes of her career. Most recently, she has performed in a string of independent films and television dramas like Gossip Girl in addition to sharing production credits. After signing with Hollywood Records, Duff expanded her repertoire to include pop music and has released several albums. Her debut studio album Metamorphosis (2003) was RIAA-certified triple platinum while the subsequent studio album Hilary Duff (2004) and compilation album Most Wanted (2005) were both certified platinum. She exhibited a more adult image with the release of Dignity (2007), which displayed a shift to more of a dance-oriented sound. Certified gold, the album spawned her highest charting US single to date "With Love" which also peaked at number 1 on Billboard's Hot Dance Club Songs chart, becoming the first of her three consecutive number ones on that chart. Prior to the release of Best of Hilary Duff (2008), a compilation of her greatest hits, Duff had sold thirteen million albums worldwide and had performed across the world on four concert tours. In addition to writing a series of young adult novels, comprising Elixir (2010) and Devoted (2011), she has also contributed to several humanitarian causes. Duff has attracted a great deal of publicity, particularly surrounding her personal life. She is married to former hockey player Mike Comrie, with whom, she has one child. Tip of the day: look what i found - Plugarul. About Hilarie Burton : Hilarie Ross Burton (born July 1, 1982) is an American actress. A former host of MTV's Total Request Live, she portrayed Peyton Sawyer on The CW drama One Tree Hill for six seasons (2003-2009). Burton gained wider recognition with leading roles in the films Our Very Own, Solstice and The List, and currently stars as Sara Ellis on the USA dramedy White Collar. 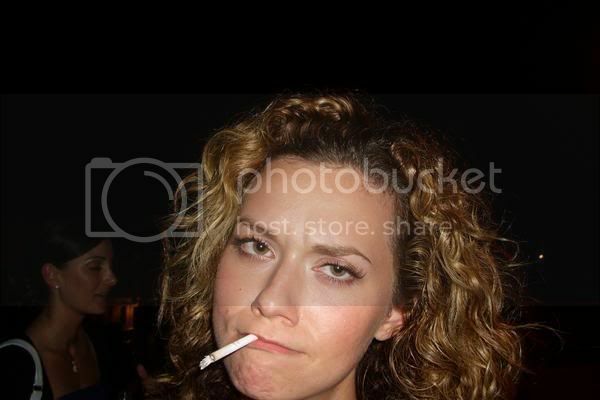 Hilarie Burton was born on July 1, 1982 in Sterling, Virginia. She graduated from Park View High School in 2000, where she was student council treasurer her sophomore year, vice-president her junior year, and head cheerleader, student council president, and homecoming queen her senior year. Burton attended New York University and Fordham University. Tip of the day: this LD hyperlink. About Helen Mirren : Dame Helen Mirren, DBE (born Helen Lydia Mironoff; 26 July 1945) is an English actor. She has won an Academy Award for Best Actress, four SAG Awards, four BAFTAs, three Golden Globes, four Emmy Awards, and two Cannes Film Festival Best Actress Awards. Mirren was born Helen Lydia Mironoff in Queen Charlotte's Hospital, Chiswick, West London. Her father, Vasiliy Petrovich Mironov (1913–1980), was of Russian origin, and her mother, Kitty (nee Kathleen Alexandrina Eva Matilda Rogers; 1909–1996), was English. Mirren's paternal grandfather, Colonel Pyotr Vasilievich Mironov, was in the Tsarist Army and fought in the 1904 Russo-Japanese War. He later became a diplomat, and was negotiating an arms deal in Britain, when he and his family were stranded during the Russian Revolution. The former diplomat became a London cab driver to support his family. His son, Helen Mirren's father, changed the family name to the Scottish-sounding Mirren in the 1950s and became known as Basil Mirren. He played the viola with the London Philharmonic before World War II, and later drove a cab and was a driving-test examiner, before becoming a civil servant with the Ministry of Transport. Mirren's mother was from West Ham, East London, and was the 13th of 14 children born to a butcher whose father had been the butcher to Queen Victoria. Mirren considers her upbringing to have been "very anti-monarchist". The first house she remembers living in was in Westcliff-on-Sea, Essex, when she was two or three years old, after the birth of her younger brother, who was named Peter Basil after his grandfather and great-great-grandfather. Mirren was the second of three children, born two years after her older sister Katherine ("Kate"; born 1942). She later lived in Leigh-on-Sea. Tip of the day: L&M - navigate to this site. Copyright (c) 2014 Celebrity Smoking.